The first edition of VG, which had been established by members of the post-war resistance movement, sees the light of day on 23 June 1945. After a successful start, the newspaper gradually faces serious financial difficulties. Aftenposten takes over printing in 1963, but it soon becomes obvious that VG has serious liquidity problems. 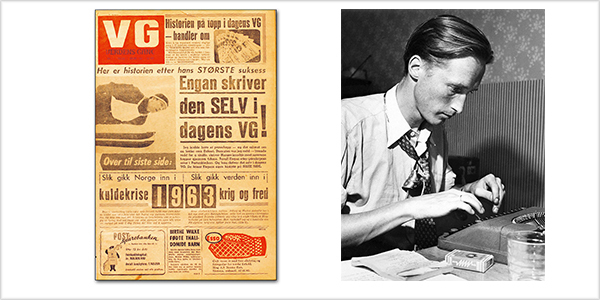 Schibsted therefore takes over VG in 1966. With new financial backing, the beginnings of a newspaper success story are formed. VG becomes Norway’s biggest newspaper in 1981.